It seems that he was out cycling when he got stung by a bee. Following is a link to NBC Sports Group’s comprehensive motorsports coverage surrounding the F1 U.S. Grand Prix this weekend ... and a list I made, with a couple things added in and times converted to CST. Might be just me, but ive noticed this season sky have had hardly any F1 programming on this year (thats not the race itself) hardly any 'F1 Legends' or other such documentaries. Tales from the Vault was one series. Also, there have been a few more F1 Legends, Ayrton Senna Week and of course the Live F1 Show, off the top of my head. Oh, and lots of classic races. This show starts next week and one of the first contestants is a ""Formula 1" fiend. I'm really starting to question whether i should keep my SkyF1 subscription. There hasn't been any new material in months. 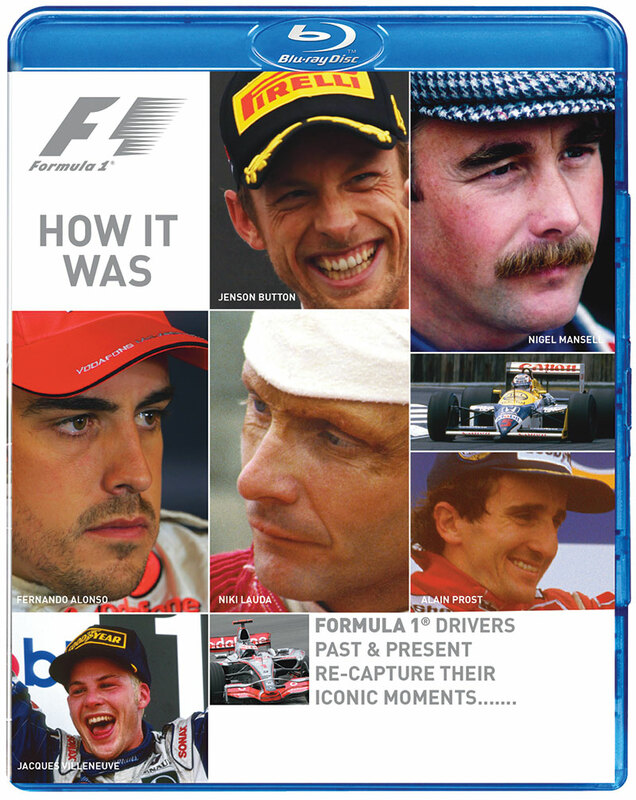 There's only so many times you can watch "Legends of F1 - Nigel Mansell". There was hardly any new material the whole of last year. And as you say constant repeats for months now. A complete waste of time that channel. Shame. It started off so well. There is nowhere near enough content to justify a full time channel. It also only broadcasts 6 hours a day as well. Don't know if anyone else saw Hamilton in the Claire Baulding show in BBC? It was an ok interview including making fun of Nico and his feminine hygiene products and is on iplayer currently for any UK people. Webber's long awaited autobiography is to be released next month. He has warned Vettel that "there might be some carnage". “We got off the podium and he just came over and said ‘we need to talk, I’ve just f***** up, f***** up so bad’. "At the time, we could hardly stand the sight of each other." After Spa FP2 today on BBC2 and I'm currently watching a show with Murray Walker and Suzi Perry about Michael Schumacher. They've chosen to show highlights of 3 races from his career - the 1994 British GP (won by Damon Hill, Schumacher disqualified); Australia 1994 (yes that one!) and his first win for Ferrari at Spain 1996. What the hell is that about? BBC still bearing grudges? I completely forgot about the BBC season review on Saturday... Is it being shown again sometime soon? Hi. I see this is a thread for TV features but hopefully it's fine to also post radio features here. It's just a general discussion about the main contenders for the WDC in 2016. It's possible that only UK residents will be able to listen to this - sorry. Maybe there are ways around it such as via proxy. Official product of Formula 1. The broadcaster and F1 logo has been smudged out. Maybe these videos will be taken down from youtube and it was not proper to upload them in the first place. I hope it's reasonable for me to post these here for now. Tonight, BBC4 10 pm (that's approx 15 mins from now!) "Jim Clark : The Quiet Champion". Day one pre-order for me, looks awesome. A new documentary on Tommy Byrne? Yes please! A film rather than a show...but Wow.. Currently showing in the U.S. on Starz is a documentry from 2017 simply called "Mclaren" that covers Bruce's career up to his death. Very well done I thought. Very interesting You Tube show on the life & times of Ron Dennis. It chronicles his early years as a mechanic with Jack Brabham through to his years at McLaren up to his post F1 activities. Bit of a stretch at just under 2 hrs but well worth the effort.